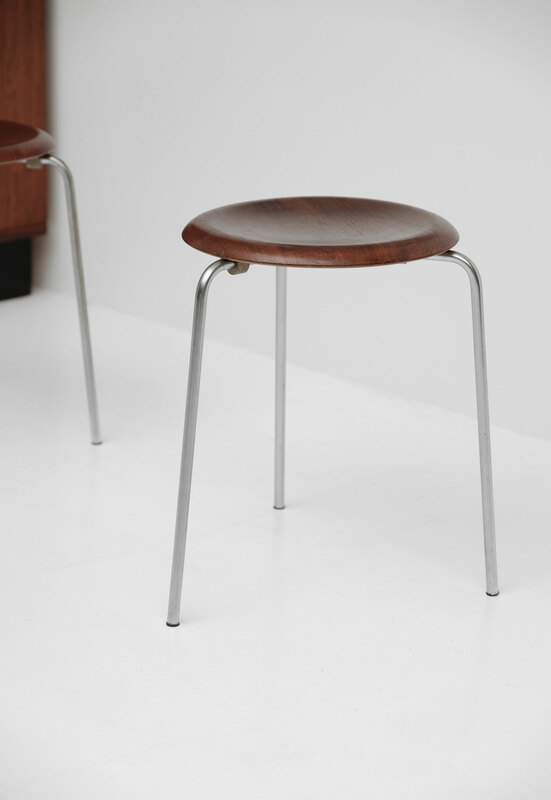 Danish designer and architect Arne Jacobsen first introduced the three-legged Dot stool back in the 1950s alongside his first stacking Ant chair. 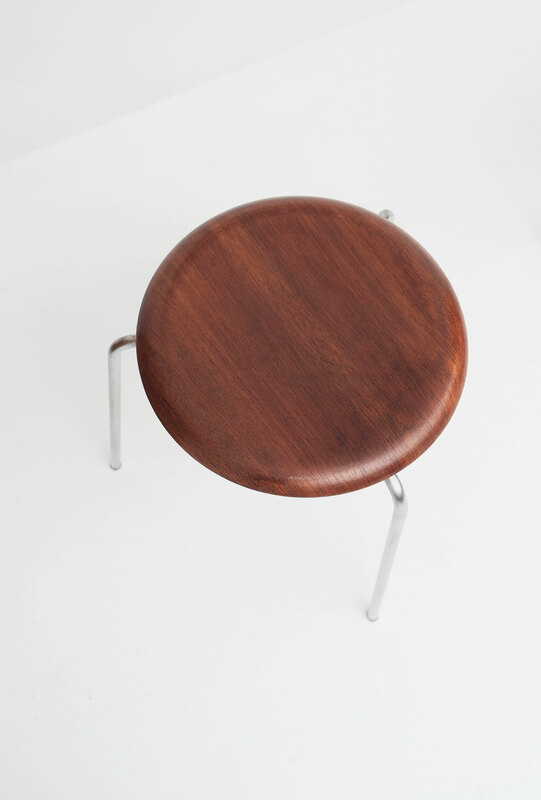 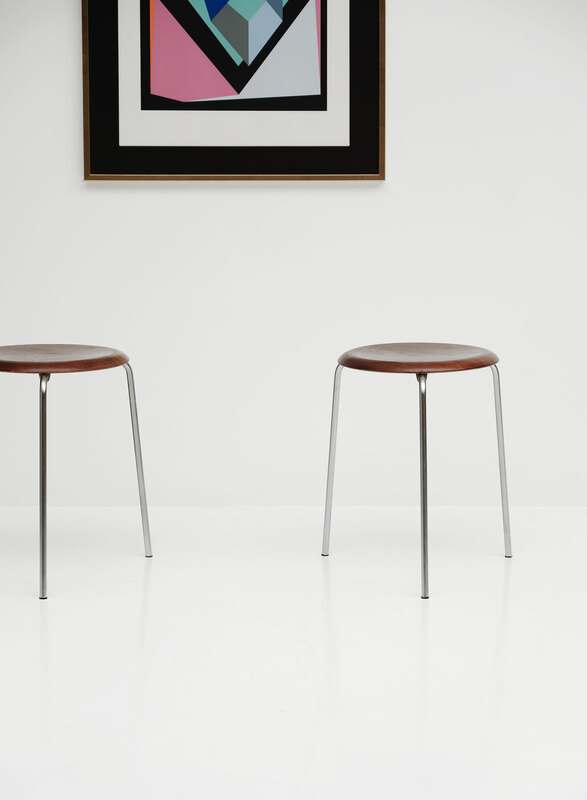 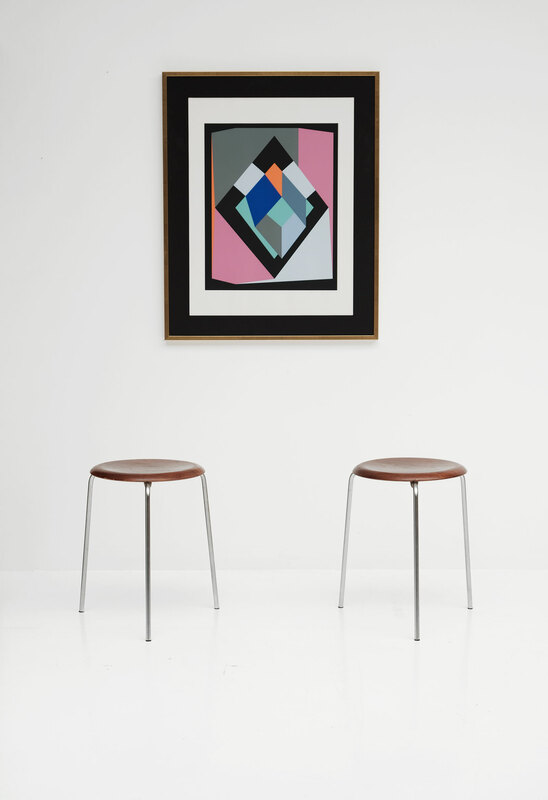 The stool has a Minimalist design combining wood and metal into a functional piece of furniture. 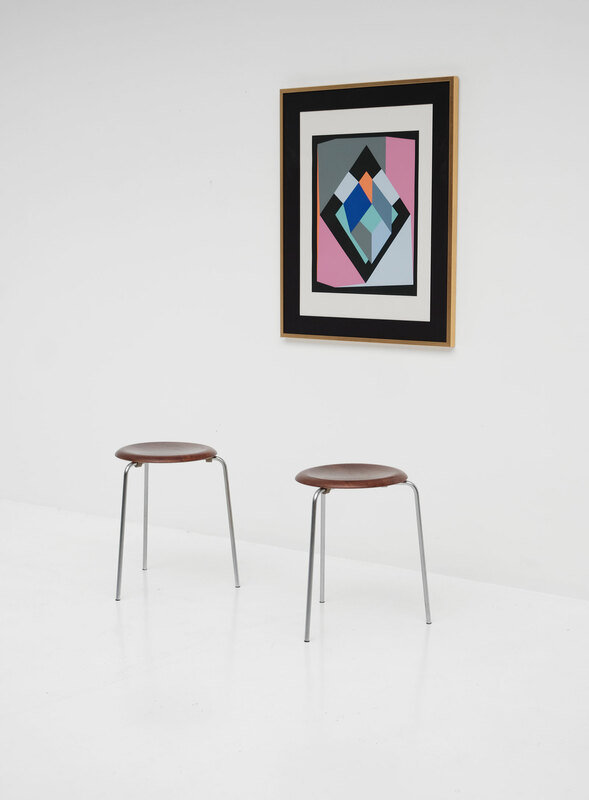 This pair is an early edition and contain in a very good condition. 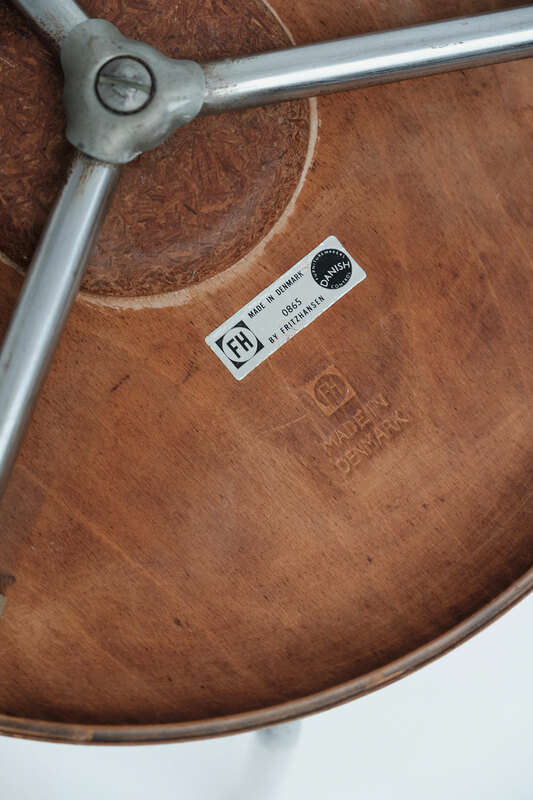 Both stools are stamped on the back.